Clean Energy Fuels Corp. (Seal Beach, CA) is building a new compressed natural gas (CNG) fueling station for Waste Pro (Longwood, FL) in Fort Pierce, FL to support its new fleet of CNG-powered trucks there. The station will be one of many the company plans in support of its previously announced $100 million transition to CNG-powered vehicles. The Fort Pierce operation has been permitted and is expected to open in the third quarter of this year. "This move will reduce emissions in our operating footprint and potentially provide fueling stations for the cities and counties we serve," Waste Pro CEO John J. Jennings said. Clean Energy Fuels Corp. (Nasdaq: CLNE) has contracted with major Southeast U.S. solid waste collection, recycling and disposal company Waste Pro USA to build, operate and maintain a new CNG fueling station on Waste Pro property in Fort Pierce, FL. The private time-fill fueling facility will support the company's new fleet of CNG-powered trash trucks. Waste Pro recently announced its investment of $100 million for vehicles and fueling stations to transition a portion of its fleet from diesel fuel to compressed natural gas (CNG) fuel. The investment includes planned construction by Clean Energy of natural gas fueling facilities in the South. Development of the Waste Pro CNG station at Fort Pierce has been permitted, with opening projected for early third quarter of 2012. In Phase One of its CNG transition effort, Waste Pro expects to deploy 150 heavy-duty waste collection and recycling trucks to serve residential and commercial customers. Commenting on its CNG fueling commitment and station infrastructure partnership with Clean Energy, John J. Jennings, President and CEO of Waste Pro, said, "We care about the communities we serve. This move will reduce emissions in our operating footprint and potentially provide fueling stations for the cities and counties we serve." Raymond P. Burke, Clean Energy Vice President, said, "We are pleased to partner with Waste Pro to support its new fleet commitment to natural gas-powered trucks to add fuel diversity, curtail harmful emissions and dependence on foreign oil. 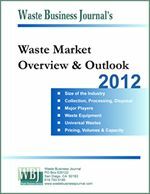 We congratulate Waste Pro for its exemplary leadership efforts in the Southeast U.S. region." 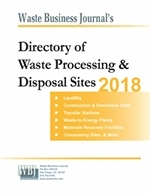 Waste Pro is one of the country's fastest growing, privately owned waste collection, recycling and disposal companies, operating in seven southeastern states: Florida, Georgia, South Carolina, Alabama, North Carolina, Louisiana and Mississippi. With more than 2,400 employees and 1,400 trucks, it serves more than 1.8 million customers from 70 operating locations, and maintains more than 140 exclusive municipal contracts and franchises. Clean Energy (Nasdaq: CLNE) is the largest provider of natural gas fuel for transportation in North America and a global leader in the expanding natural gas vehicle fueling market. We have operations in compressed natural gas (CNG) and liquefied natural gas (LNG) vehicle fueling; construction and operation of natural gas fueling stations; compressor equipment and technology; biomethane production; and vehicle conversions. We fuel over 530 fleet customers and 25,000 vehicles at more than 273 strategic locations across the country, with a broad customer base in the refuse, transit, trucking, shuttle, taxi, airport and municipal fleet markets. We are building America's Natural Gas Highway™, a network comprised initially of 150 planned LNG truck fueling stations connecting major freight trucking corridors across the country. IMW Industries, Ltd., a wholly owned subsidiary, is a global supplier of compressed natural gas equipment for vehicle fueling and industrial applications with more than 1,400 installations in 26 countries. NorthStar, a wholly owned subsidiary, is the recognized leader in LNG/LCNG (liquefied to compressed natural gas) fueling system technologies and equipment, station construction and operations. It has built approximately 70% of the LNG fueling stations in the United States. BAF Technologies, Inc., a wholly owned subsidiary, is a leading provider of natural gas vehicle systems and conversions for taxis, vans, pick-up trucks and shuttle buses. It has converted more than 15,000 vehicles. Clean Energy Renewable Fuels (CERF), a wholly owned subsidiary, is developing renewable natural gas (RNG), or biomethane, production facilities in the United States. CERF owns (70%) and operates a landfill gas facility in Dallas, Texas that produces RNG for delivery in the nation's gas pipeline network for power generation and transportation fuel. CERF is building a second facility in Canton, Michigan. We own and operate LNG production plants in Willis, Texas and Boron, California with combined capacity of 260,000 LNG gallons per day, and that are designed to expand to 340,000 LNG gallons per day as demand increases. For more information, visit www.cleanenergyfuels.com. Forward-Looking Statements — This news release contains forward-looking statements within the meaning of Section 27A of the Securities Act of 1933 and Section 21E of the Securities Exchange Act of 1934 that involve risks, uncertainties and assumptions, including statements about the deployment of natural gas vehicles, the plans of Waste Pro and Clean Energy to build fueling stations in the South, the timing for completion of the Fort Pierce station, the benefits of natural gas vehicle fuel as compared to diesel, and the potential for a natural gas highway system. Actual results and the timing of events could differ materially from those anticipated in these forward-looking statements as a result of several factors, including, but not limited to, changes in Waste Pro's plans to invest $100 million for vehicles and fueling stations to transition a portion of its fleet from diesel to CNG, the price per gallon of CNG relative to diesel and gasoline, and permitting or other delays encountered during station construction. The forward-looking statements made herein speak only as of the date of this press release and, unless otherwise required by law, the company undertakes no obligation to publicly update such forward-looking statements to reflect subsequent events or circumstances. Additionally, the reports and other documents the Company files with the SEC (available at www.sec.gov) contain risk factors, which may cause actual results to differ materially from the forward-looking statements contained in this news release.